With our Complement-NOT-Complicate STEM Bundles you can now focus on creating, inventing and conquering all things STEM with your students. 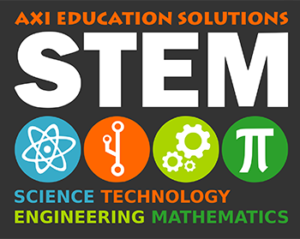 We have taken an extra effort to bundle our STEM solutions for easy integration into your curriculum. The products included in our bundles allow students to become involved with coding through the use of Spheros, Sam Labs, and raspberry pi kits called pi-Tops. They also begin to invent through the use of a 3D printer and littleBits. The LabDisc sensors are used for graphing and data collection. All of the quantities can be adjusted depending on the size of the classes that are going to be utilizing the Makerspace. The Create, Invent, Conquer columns are just another way of saying beginning, intermediate, and advanced approaches to building a Makerspace. The same products are used in each bundle, we simply adjusted the quantities of each item to have more kids engaged with the products at one time, giving you a great start of how to begin planning for a successful STEM. Add a 3rd dimension to your lessons with our latest Virtual Reality for the classroom.